Looking for a nightstand that is both functional and visually appealing? Check out the Cleveland Nightstand from Modloft, and you can reap the benefits of a sophisticated, spacious and stylish nightstand day after day. 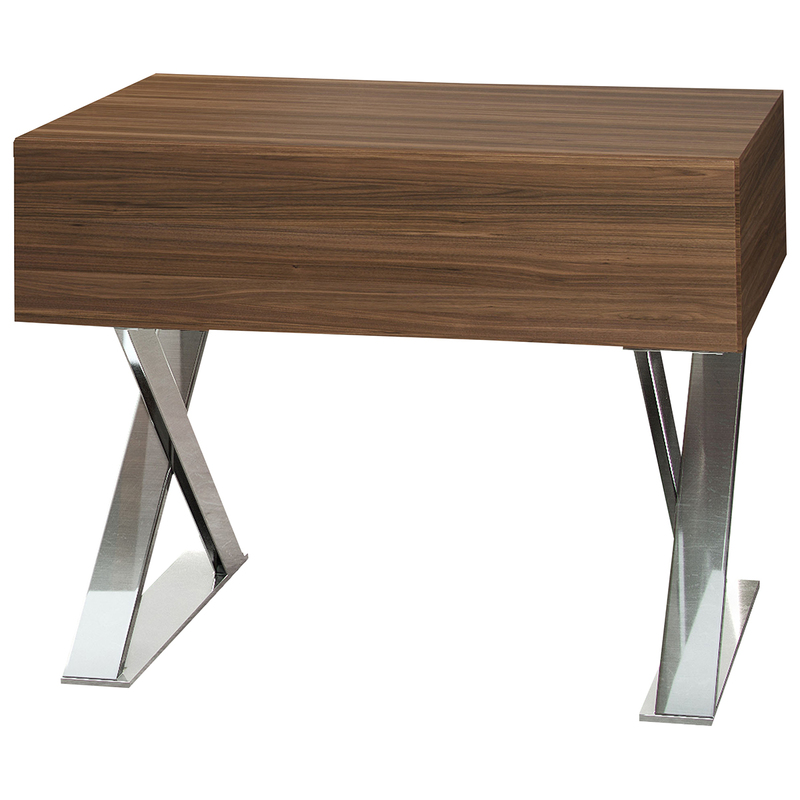 This first-rate nightstand features striking X-shaped legs, an awe-inspiring polished stainless steel frame and soft-closing hardware enables smooth and effortless drawer movement. Plus, the interior of the nightstand's drawers is elegantly lined in light beige linenboard that further enhances the piece's overall appeal. 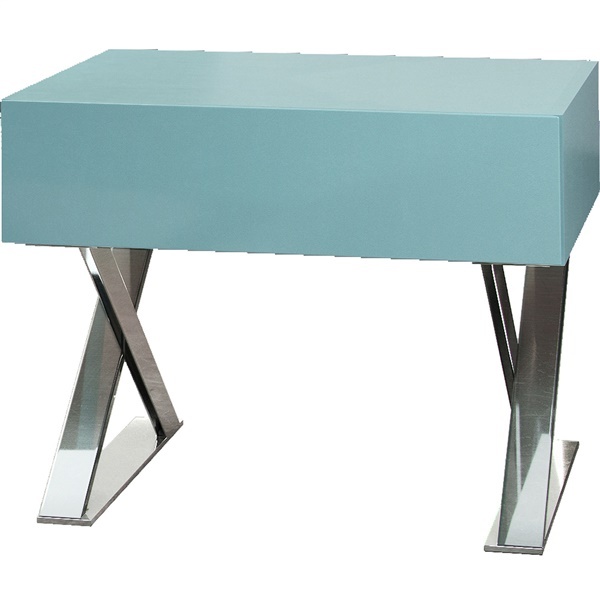 For a distinct, dazzling nightstand, the Cleveland Nightstand provides a stellar choice. Soft-closing hardware enables smooth and effortless drawer movement. Features a dazzling polished stainless steel frame. Interior of the nightstand's drawers elegantly lined in light beige linenboard that further enhances the piece's overall appearance. 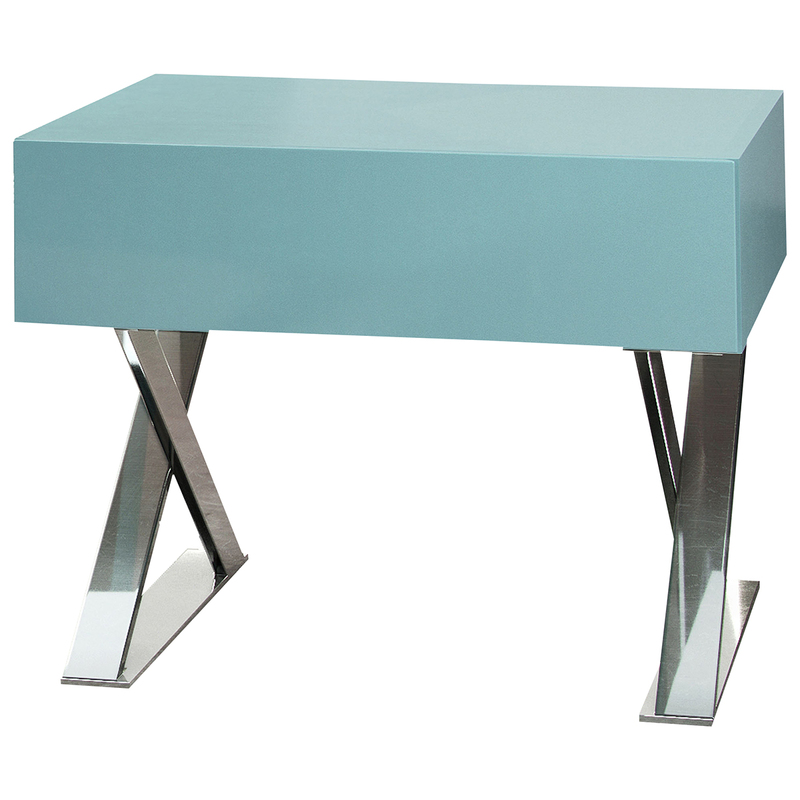 Boasts striking X-shaped legs in polished flat steel. Available in multiple eye-catching finishes.